Of all the chapters in this book so far this is probably the most intriguing and possibly muddled. While Dr. ML King Jr. gets his how holiday, these are two important civil rights leaders many young Americans have never heard of. As with a number of other chapters I knew these men’s names and something about them (mostly by my past reading of King biographies) but not enough, making this chapter again a delight for me. While most of the other chapters had a primary and secondary biographical focus it is difficult and probably pointless to figure out if either Rustin or Randolph is primary. He wants to tell both their stories. Dr. King will come later in the story and we are left to figure out exactly why. Brooks is up front about what he’s trying to illustrate with both of these men’s lives. THE STORY OF A. Philip Randolph and Bayard Rustin is the story of how flawed people wield power in a fallen world. They shared a worldview based on an awareness of both social and personal sin, the idea that human life is shot through with veins of darkness. They learned, Randolph instantly and Rustin over a lifetime, to build an inner structure to contain the chaotic impulses within. They learned that sinfulness is battled obliquely through self-giving, by directing life away from the worst tendencies. They were extremely dignified in their bearing. But this same sense made them aggressive in their outward strategy. They knew that dramatic change, when it is necessary, rarely comes through sweet suasion. Social sin requires a hammering down of the door by people who are simultaneously aware that they are unworthy to be so daring. This is a philosophy of power, a philosophy of power for people who combine extreme conviction with extreme self-skepticism. Brooks, David (2015-04-14). The Road to Character (pp. 151-152). Random House Publishing Group. Kindle Edition. There it is. He wrapped it all up in a nice bow for us, but I’m not sure all the pieces make it in the box with the bow on top. You couldn’t find two more interesting leaders to contrast. 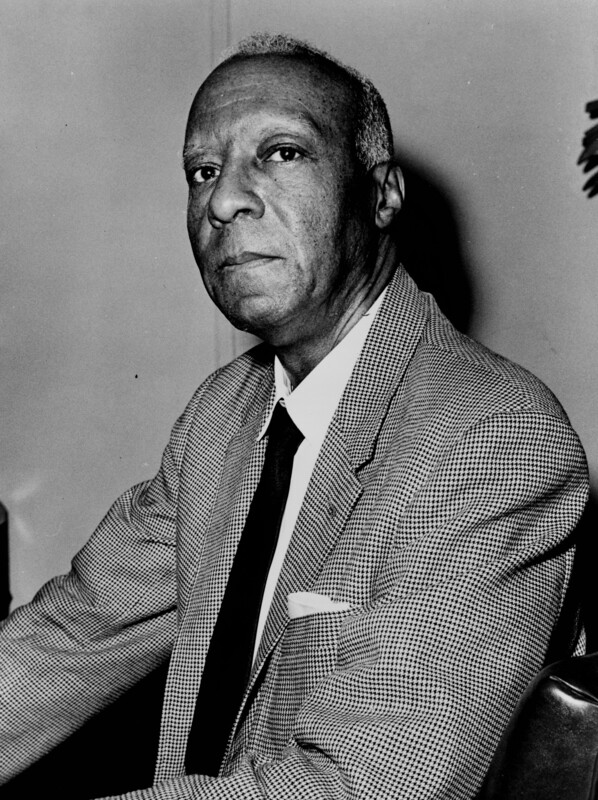 A. Philip Randolph was as proper, disciplined and formal as Bayard Rustin was not. While Randolph was bulletproof when it came to women, Rustin, who was gay, was notoriously promiscuous. The quality they both shared was a healthy skepticism of self. 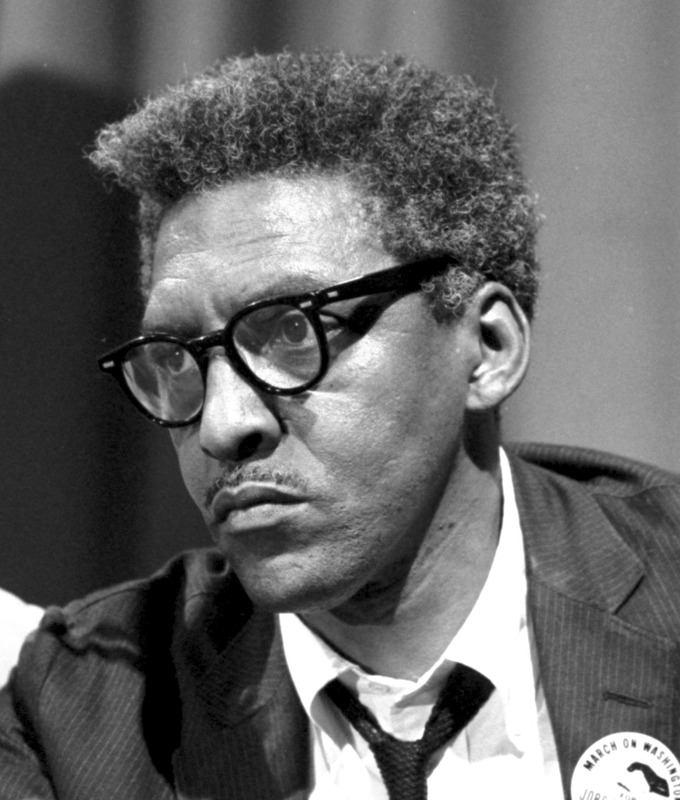 Randolph, Rustin, and the other civil rights activists were in their best moments aware that they were in danger of being corrupted by their own aggressive actions. In their best moments they understood that they would become guilty of self-righteousness because their cause was just; they would become guilty of smugness as their cause moved successfully forward; they would become vicious and tribal as group confronted group; they would become more dogmatic and simplistic as they used propaganda to mobilize their followers; they would become more vain as their audiences enlarged; their hearts would harden as the conflict grew more dire and their hatred for their enemies deepened; they would be compelled to make morally tainted choices as they got closer to power; the more they altered history, the more they would be infected by pride. Brooks, David (2015-04-14). The Road to Character (p. 148). Random House Publishing Group. Kindle Edition. If the civil rights movement was to overcome their opposition their leaders must overcome the struggles of pride and ego themselves. When it came to the struggle their discipline in this area was essential. Brooks nicely teases out that the ability of these leaders to lead a movement and to push for change aggressively grew out of a realistic view of human depravity. Contrary to a lot of optimistic talk about the inevitable triumph of the human spirit to have people fall in line with a beneficent public order these leaders believed that human beings naturally stick to the injustice they know rather than find a new way to the justice they might agree with in theory but be slow to practice. The optimists, members of this camp argued, practice idolatry. They worship man and not God, and when they do worship God it is a God who merely possesses human qualities in extreme form. As a result they overestimate the power of human goodwill, idealism, and compassion and their own noble intentions. They are too easy on themselves, too complacent about their own virtue, and too naïve about the resolve of their opponents. Randolph, King, and Rustin had this more austere view of their struggle. The defenders of segregation would not lie down, and people of goodwill would not be persuaded to act if there was any risk to themselves. The civil rights activists themselves could not rely on their own goodwill or their own willpower, because very often they would end up perverting their own cause. If there was to be any progress, it was necessary not just to be engaged, one had to utterly surrender to the movement, at the cost of one’s own happiness and fulfillment and possibly life. This attitude of course fueled a fierce determination, which many of their more optimistic secular allies could not match. As Chappell put it, “Civil rights activists drew from illiberal sources to supply the determination that liberals lacked, but needed.” 31 The biblical lens didn’t protect the realists from pain and suffering, but it explained that pain and suffering were inevitable and redemptive. Brooks, David (2015-04-14). The Road to Character (pp. 146-147). Random House Publishing Group. Kindle Edition. Brooks again shows himself to be a conservative here, noting that real change required a communal perspective which has been lost to us today. These ingredients were fundamental to this movement that we value today, aping its forms while lacking its deeper capacity and commitments. What interested me about this chapter was how Dr. King fit into it. On one hand he completes the efforts of both Rustin and Randolph. The situation with Rustin exposes a failure of will with Dr. King in standing up for him while Randolph doesn’t flag. King provides the heavy theological lifting yet King’s story is interesting to set along side Rustin and Randolph. King, similar to Randolph, is well spoken, formal, well educated but similar to Rustin has some issues with personal integrity. The questions of personal integrity and how they intersected with this larger conversation about evil, particularly in a book about eulogy virtues would have been interesting. Reinhold Niebuhr will also make an appearance in the chapter. This is the inverted logic of people who see around them a fallen world. The midcentury thinker most associated with this ironic logic is Reinhold Niebuhr. People like Randolph, Rustin, and King thought along Niebuhrian lines, and were influenced by him. Niebuhr argued that, beset by his own sinful nature, man is a problem to himself. Human actions take place in a frame of meaning too large for human comprehension. We simply can’t understand the long chain of consequences arising from what we do, or even the origins of our own impulses. Neibuhr argued against the easy conscience of modern man, against moral complacency on every front. He reminded readers that we are never as virtuous as we think we are, and that our motives are never as pure as in our own accounting. Brooks, David (2015-04-14). The Road to Character (p. 149). Random House Publishing Group. Kindle Edition. Brooks clearly values these ideas and I think they run through a lot of what he writes and advocates. He is in a sense a conservative, because he’s cherishing and trying to preserve values he sees slipping away, but he’s in many ways a mid-century mainliner. He isn’t an Evangelical who will keep his Jesus exclusivism out in front even while pragmatically finding allies for common cause, but a mainliner who will go soft on sectarian language while seeing embracing a package with its roots in Christianity while avoiding sectarian language. It is perhaps for this reason why he chooses Rustin and Randolph to focus on in this chapter. King, while the bright and shining star of the movement, and also a mid-century mainliner employed language that was particularly and obviously Christian in his leadership. Rustin and Randolph were closer to Gandhi, using what they could find helpful in Jesus but being primarily about the civil goals of the movement and not religious ones. Brooks, David (2015-04-14). The Road to Character (pp. 147-148). Random House Publishing Group. Kindle Edition. In American liberal culture today the Civil Rights movement has become the paradigm that shapes the liberal moral imagination. When I speak with groups about the teachings of Jesus that the Civil Rights movement deployed and popularized I am always impressed by how it has been appropriated in a pragmatic way. Turning the other cheek is a tactic used to change the hearts and minds of your opponent. While this played out this way in the US civil rights movement as well as the Indian independence movement led by Gandhi when people reflect on this in their individual relationships they often express disappointment. Their cheek turning was supposed to work but instead others just keep hurting them. They often then simply return to more common interpersonal patterns of retribution, manipulation and relational rupture. A brief look at Gandhi and Hitler might be interesting. Hitler, of course, did not. But that did not stop Gandhi from sending the dictator more letters in May and June 1940, or from telling Linlithgow that same month, “Hitler is not a bad man.” As Hitler’s panzers roared across France, Gandhi wrote that future generations of Germans would “honor Herr Hitler as a genius, as a brave man, as a matchless organizer and much more.”10 In his last missive to Hitler, written the day before Christmas 1941, Gandhi praised “your bravery [and] devotion to your fatherland…Nor do we believe that you are the monster described by your opponents”—one of the most vocal being Winston Churchill. Herman, Arthur (2008-04-29). Gandhi & Churchill: The Epic Rivalry that Destroyed an Empire and Forged Our Age (Kindle Locations 8621-8631). Random House Publishing Group. Kindle Edition. Here we see nonviolence as practice behind different foils and employed by very different people in very different places of the world. Our mental evaluation of all of this tends to be within secular box. We want to see non-violence as an effective tool for particular contexts (usually against Christianized adversaries like the US population of the south and the Imperial British empire) but not against adversaries who would have no qualms against massive bloodshed. Non-violence as a political tool requires a context if that tool is intended to achieve an outcome. The element that cannot fit into the secular box is of course the bodily resurrection of Jesus Christ and the blood three hundred year march of Christianization of the Roman Empire and eventually the west. In pondering the success of the Southern civil rights movement one wonders how the religious convictions of the southern African Americans who laid down their lives afforded them the imagination of winning not simply a political context but an eschatalogical one. It was precisely King’s ability to appropriate not just the Gandhian methods of non-violence but to also employ the eschatalogical vision to transcend death and history. Can Brooks in his work go there with us? Can history finally get there without it? This entry was posted in book review and tagged A. Philip Randolph, Bayard Rustin, David Brooks, Dr. Martin Luther King Jr., The Road to Character. Bookmark the permalink.